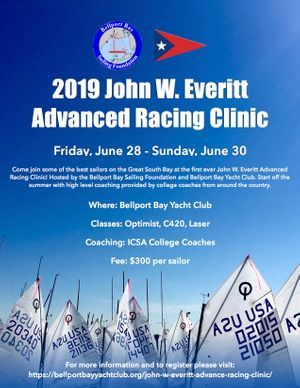 John W. Everitt Advanced Racing Clinic! Emails were sent the week of 2/26 confirming those recommendations. If you did not receive your recommendation email, please contact the registrar. All new sailors must begin in our Mercury program. Six to 8 year olds should register for the 8-10 am class. Nine to 11 year olds are best suited for the 10 am to 12 pm class. Finally, teen beginners may register for the 1 to 4 pm Mercury Class. which program and time slot will be most appropriate. 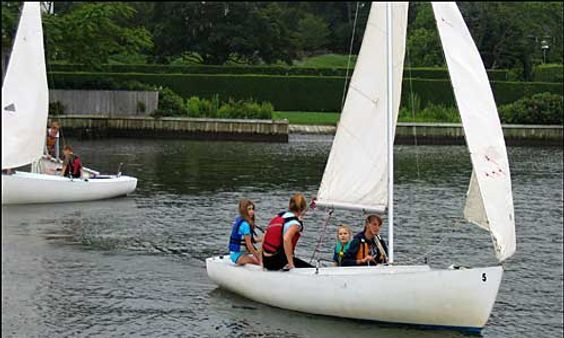 Our first day of 2019 Sailing will be Monday, July 1st. Mercury Session I will run from July 1st through July 23rd. Session II will run from July 24th through Thursday, August 15th. No classes on July 4th. 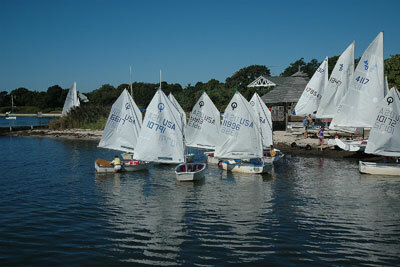 Opti, Laser and 420 Classes are 7 week programs which operate from July 1st through August 15th.